Now I don’t recall amongst all the hype from Tories in Government and Labour locally who backed us having a Metro Mayor, on what I called at the time a 3rd rate devolution deal, that there’d be an addition to all the Liverpool City Region council tax bills, do you? But then again it was probably always the case that there’d be more mouths to feed and such has come to pass. I’d be much happier if the powers devolved to our Metro Mayor had made it worth us putting our hands deeper into our pockets but I’ve been consistent in saying it was a poor deal that should not have been embraced so lovingly by Labour leaders across Merseyside. It’s not that I’m opposed to devolved powers, indeed as a Liberal, I’ve championed such moves for as long as I can recall when both Tories and Labour nationally and locally would have none of it. It’s just that I’m far from convinced that the limited powers that our Metro Mayor has makes the post worth having (and us paying for) and I’d hold that view no matter who was our Metro Mayor. And where’s the detailed plan and the vision for say the next 20 years to take our City Region forward, you get the impression that at least initially our money will be going to put that together whereas it should have come before the plea for cash. This is an issue I have covered many times before but the link above to an article in the Southport Visiter is well worth a read. Interesting to see a Tory MP getting involved (although it has to be said that she also voted for the cuts to disability allowances recently on the very very down side) in this issue. To date it has seemed to have fallen to John Pugh the Lib Dem MP for Southport to lead the fight with Rosie Cooper the Labour MP for West Lancashire helping him out, to push this transport issue forward. But this is not just about Transport because there is every chance that by creating powerful City Regions based on cities like Manchester and Liverpool that surrounding towns and communities will be even more marginalised than they have been previously. I have posted about how Merseytravel the public transport body for the Liverpool City Region is not stepping up to the plate for Southport. Is that because it is a Liverpool based organisation? Why can’t it stand with Southport folk who are trying to stop their trains to Manchester Piccadilly being re-routed to Manchester Victoria Station? Is it because Southport is not important to Liverpool’s politicians? Sadly I think we all feel we may know the answers to these questions. 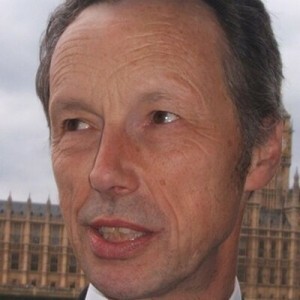 So good luck to John Pugh and his rainbow coalition of MP’s in their quest. Without such campaigning everything will get sucked into the major cities. Some devolution deal! Liverpool City Region – What an appalling political farce! Can this Liverpool City Region nightmare get any worse? First we are told by a Tory Government that we can only have devolved powers if we accept a Metro Mayor to lord it over all of Merseyside. I personally know of only one person who wants a Metro Mayor for Merseyside. Then we find out that our 6 Labour Council Leaders are negotiating a deal which clearly includes us having Metro Mayor. We end up with a third rate devolution deal (no control over the NHS or Police) and a Metro Mayor because that’s what our Labour Council leaders have agreed to. Now we have Joe Anderson back in charge after his fellow Labour Merseyside Council Leaders (by a majority) blocked him from getting the very same job only a few months ago. It seems he now has their unanimous support! In my view Joe is sadly a divisive figure who hardly seems to unite the people of Liverpool under is leadership as their elected Mayor. Indeed, the good people of Liverpool did not even get a say as to whether they wanted an elected Mayor because Labour-run Liverpool City Council just voted to have one without so much as a by your leave. Now Merseyside is going to get an elected Mayor and again, guess what we have not had a say! This is not democracy it is an appalling political farce that has been forced on us by a Tory Government and compliant Labour-run Merseyside Councils. And I say all this despite championing devolved powers for our diverse communities for many years. Devolution being forced on communities is not devolving power it is telling us what to do and the terms under which it will be done. It is top down Tory imposition and Labour should hang its head in shame for for buying into it. Reacting to the Labour Leader of Sefton Council Cllr. Ian Mayer’s endorsement of the devolution deal for Merseyside the Borough’s former Lib Dem Council Leader Tony Robertson says the devolution deal for the Liverpool City Region/Merseyside is rubbish. Tony, a long-time campaigner for devolution of powers from Government to the diverse communities of Sefton and Merseyside says the deal that Sefton Council voted for is poor and he sees nothing in it for Sefton or the Boroughs surrounding Liverpool. At the time of posting this article the Champion had not printed my opposing view. So with news reaching us that we are having a Metro Mayor imposed on us (although imposed with the endorsement of our local councils who did not consult us) and a 3rd rate devolution deal to go along with it, what next? Putting it bluntly will Merseyside elect as Metro Mayor anyone who Labour puts up as a candidate? Or exceptionally will a really credible candidate appear who can and will take Merseyside forward? Surely the rather unfortunate (for Liverpool), in my opinion, period of office for the City’s first elected Mayor is something that we all need to learn from. Yes Joe Anderson is larger than life but is he really the kind of person to take Liverpool or Merseyside forward? Sadly, Joe has come over to me as being a divisive character not someone that the people of Liverpool can get behind and really see as their leader. If we don’t learn from this, we will not succeed in taking Merseyside forward. And yes, I am still utterly opposed to having a Metro Mayor and the 3rd rate devolution of power deal that has come with it for Merseyside. However, as both are coming our way whether we like it or not in our top down ‘do as you are told’ society we had better get our thinking caps on. A 3rd rate Metro Mayor to go with a 3rd rate devolution deal and Merseyside is headed nowhere. We need leaders with vision, not class war warriors, not ‘Mr. Big’s’, not ego trippers, not a buggins turner, not the last one out of the room because no one credible wants to do it. Will we fluff it? Sadly history seems to indicate that there must be a huge possibility of this! Or will we become enthused by a really credible candidate with great ability and vision? I really hope so but where will they come from?